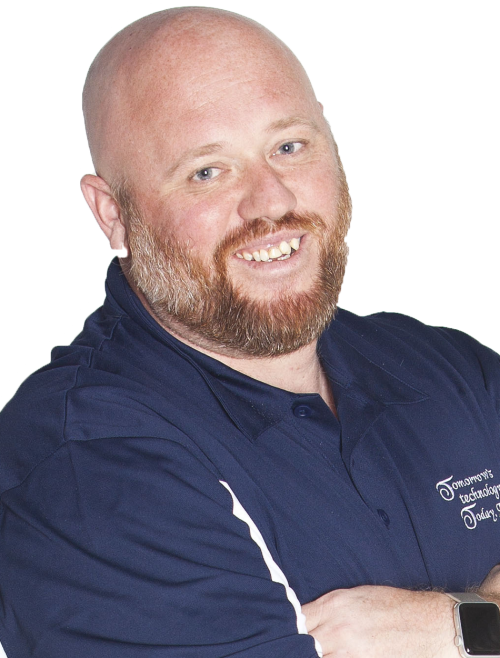 Matt joined Tomorrow’s Technology Today in April of 2017, he is our go to for anything digital. Web design, web development, Mobile app development, SEO, social media and digital marketing are areas that Matt can help. Obtaining a Bachelor’s Degree in Information Technology; Multimedia Web Design and Animation he jumped head first into the fast paced and always changing digital world. Matt comes to TTechT and brings not only experience, but a passion for his craft designing and developing websites for. By joining our team it has allowed TTechT to offer the our clients a one stop shop for all their digital needs. Matt is constantly trying to stay on top of all the new web trends so he can help each and everyone of our clients through his digital expertise. Matt graduated from Minster High School (Minster, OH). Besides taking care of all Digital Media for our long list of clients Matt currently coaches Minster’s Jr High Bowling teams, spending time with his daughter, long day trips on his motorcycle and almost all other sports. Have a website question or want help getting started with establishing an online presence for your business, Matt is the guy to talk to. Contact him today to setup a one on one meeting to discuss your needs.